I’m patiently awaiting the Blizzard of ’09, in all of its predicted spectacular glory. It hasn’t quite started yet, but the wind is gusting, and my personal stretch of coastline in southeastern MA is supposed to get walloped. The National Weather Service has issued a warning that going outside during the height of the storm could cause one to become “lost and disoriented”. “Thundersnow” is also predicted, which seems to be a new phenomenon. All in all I’m expecting Jake Gyllenhaal and the random wolf pack from The Day After Tomorrow to be knocking at my door at some point this evening, seeking provisions. We shall see. I’m Beth. 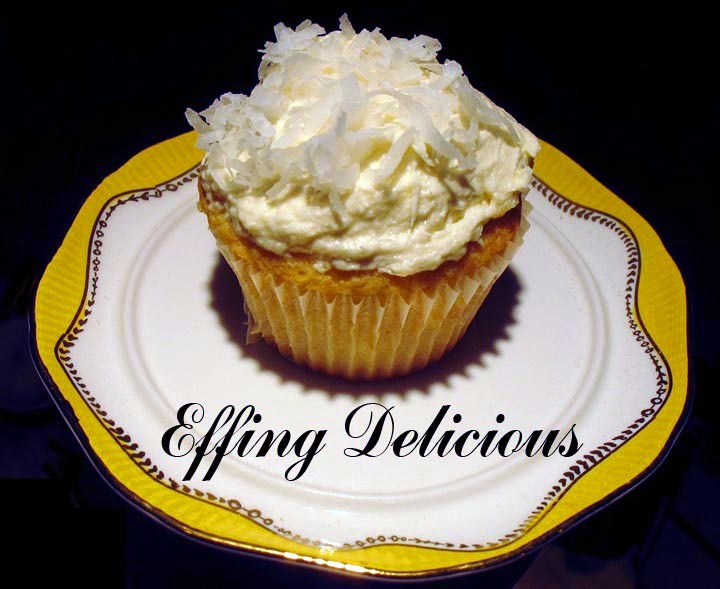 And this is my new blog, Effing Delicious, so named for my customary bleep-out-able reaction to the very most delicious of delicious foods. This tardy blizzard has cancelled plans with some beloved friends in the city this evening, and I’m very disappointed. So I am turning to my most favorite comforts: my husband, a big bottle of wine, Lost (Season 5, playing catch up! ), and of course a tasty dinner. I decided on a slightly doctored version of Martha Stewart’s Manhattan Fish Chowder for this evening. Fish chowder seemed appropriate for the wintry nor’easter about to rip through. Manhattan-style seemed right because with all the holiday treats lurking around, creaminess and extra butter could be happily omitted. I like Martha, especially her simpler recipes, because I can either follow her sage instruction, or branch out in another direction entirely. Between Martha, my Mom, and my French and Italian intuition, I somehow learned how to cook. And she’s got mad rapping style, check it. Anyway, below is my slightly doctored version of her recipe. I wanted it a little spicier to counteract this chilly, blustery night, so I added some paprika and red pepper flakes. The bacon and paprika team up for a double punch of lovely smokiness. My mouth is still pleasantly burning, so don’t get too liberal with the red pepper flakes if you’re not going for tingly. She suggests tilapia, which is a nice choice because it’s firm and mild, and won’t bother your wallet too much, but you could easily use cod or haddock, and just adjust the cooking time a bit. In a large Dutch oven, cook bacon over medium-low heat until browned and crisp, about 8 minutes. Spoon off and discard all but about 1 tablespoon of bacon fat. Add onion and carrots – cook, stirring occasionally until softened, about 10 minutes. Add tomatoes and their juice, clam juice, and water. Break tomatoes up with spoon and bring to a boil. Add potatoes, thyme, paprika and red pepper flakes. Reduce heat to simmer. Cook until potatoes are tender, about 20 minutes. Add tilapia, cover, and cook until white and flaky, about 3 minutes. Season to taste with salt and pepper. Serve!